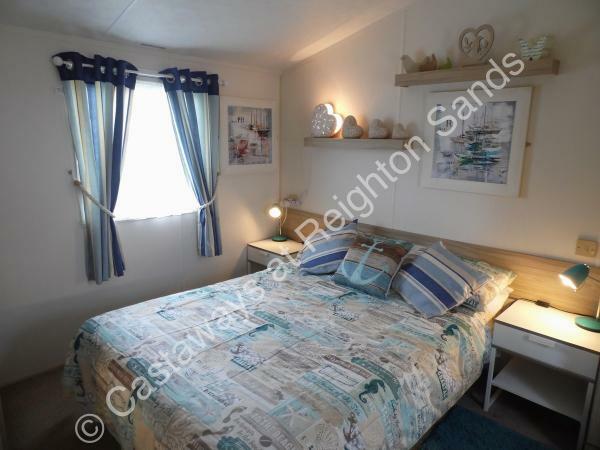 Welcome to our Willerby Salsa (eco) Exclusive 2013 Model, sited on Reighton Sands Holiday Park. 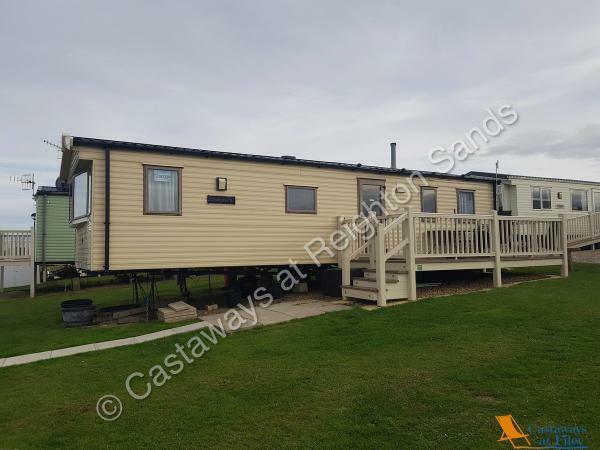 This 6 berth caravan is sited in a tranquil location of the park, that offers breath-taking sea views. 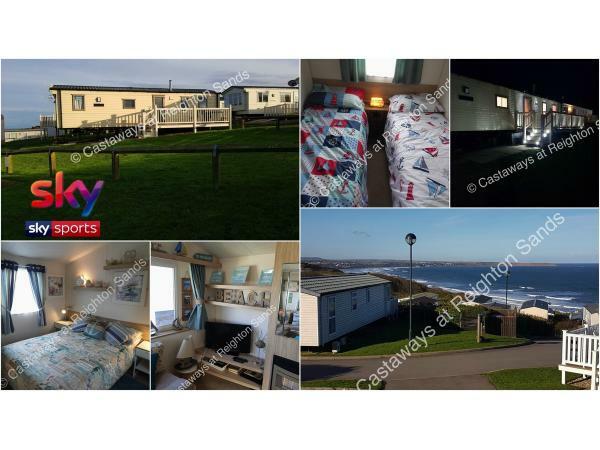 We are looking for people who want to love and enjoy a Caravan Holiday as we do and who will look after & respect our Holiday Home. We like to think we go that extra mile, to do everything we can, to look after Our Lovely Guests..
– 1 x (Larger than average) Master bedroom equipped with a flat screen TV with built in free-view & DVD player. – 1 x Twin bedroom. – Pull-Out bed in the lounge. – Fully insulated eco exclusive model. – Gas fire in the lounge. – Flat screen TV fitted with SKY TV & a DVD player. 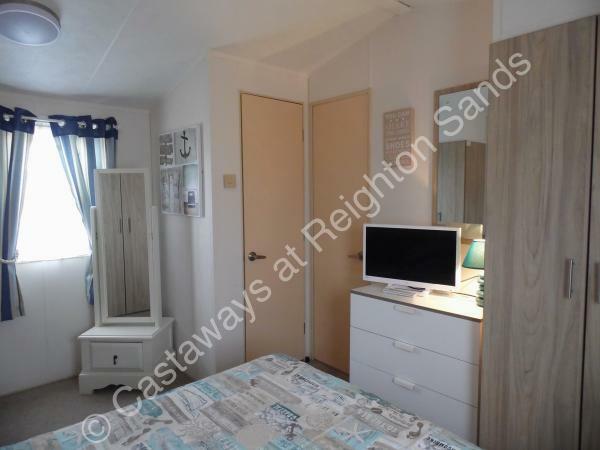 – Fully equipped Kitchen with Fridge & Freezer. – Enough cutlery/crockery for up to 6 people. 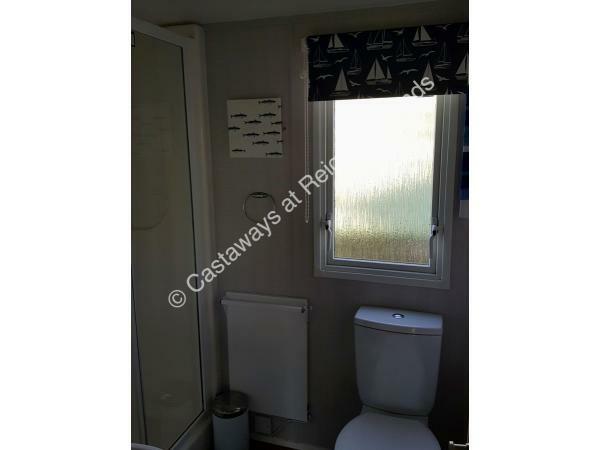 – 2 x Toilets (En-suite in master bedroom). – Larger than average shower room with toilet & sink unit. – Gated Side Decking with outdoor seating. 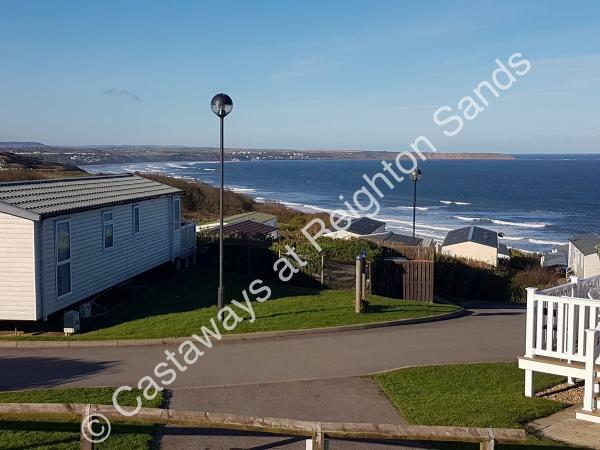 – Gorgeous sea views of Filey Bay & Filey Brigg from both inside & outside of the caravan. – Communal parking nearby the caravan. My friend and I just back from a week away in this lovely caravan. Met by Cath and Steve and made very welcome, even bought us milk for our first cuppa. 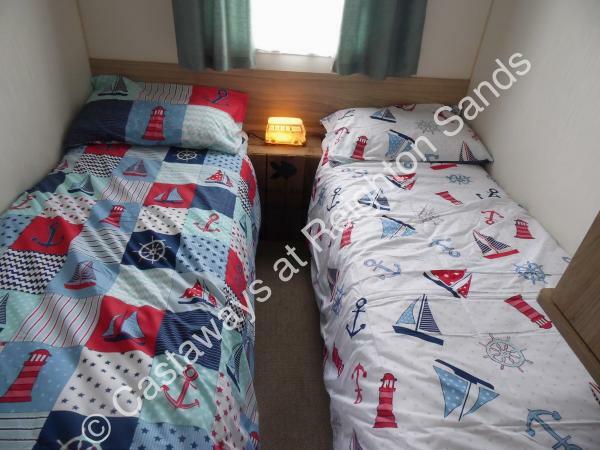 Lovely comfortable caravan, spotless clean and everything you needed for our stay. 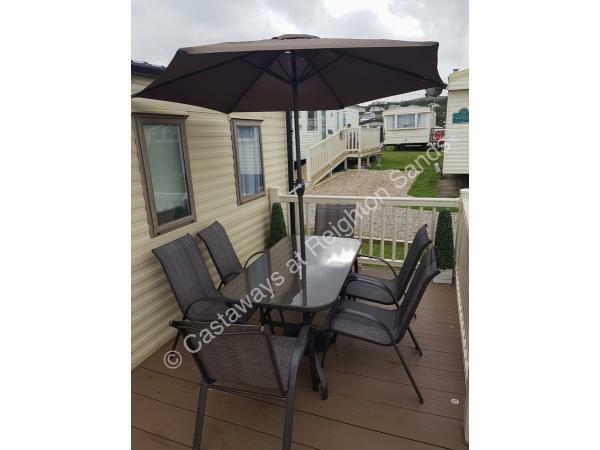 The views from the caravan are spectacular, and the decking is ideal for sitting out enjoying them. Would recommend and will definitely book again. Came home from a 4 night stay from this fabulous caravan. Clean, welcoming and so homely. 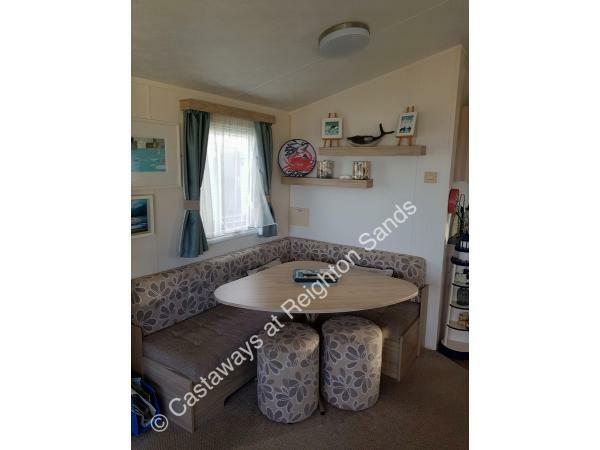 Has everything you could need for a holiday in a caravan. 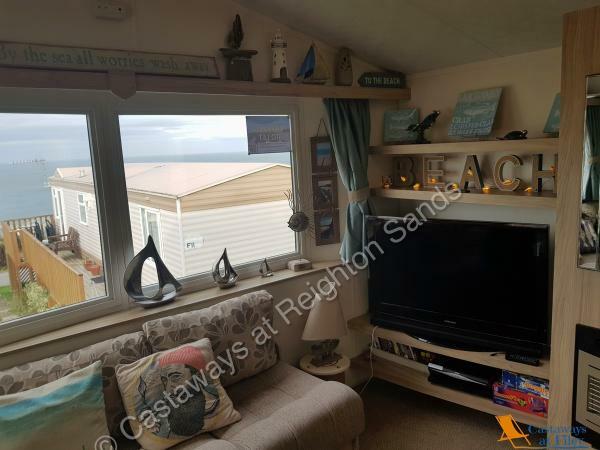 Cannot fault the setting with wonderful views of Filey Bay and the sea. The solar lights on the verandar on a night are simply stunning. So jealous of all who go and stay in this caravan as it is one that I would honestly love to own myself. 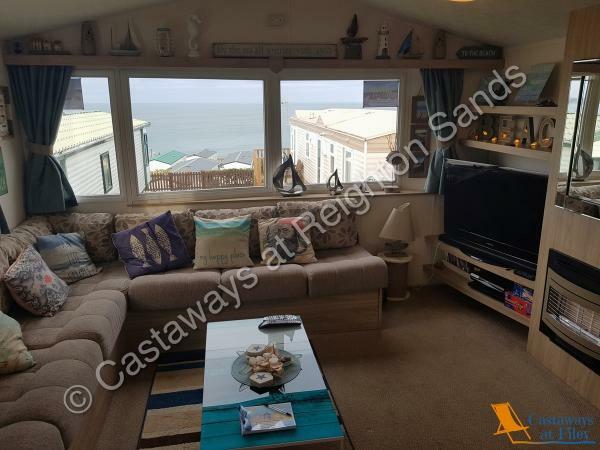 Stayed in this Beautiful Caravan over the Easter period and very impressed. Everything you could possibly need equipment wise was provided. The booking experience was perfect from start to finish. Owners were very friendly and helpful, ensuring we had all the necessary information needed. Stunning Sea Views that are truly breath-taking, of Filey Bay. So impressed, we've booked to go again in June and can't wait. 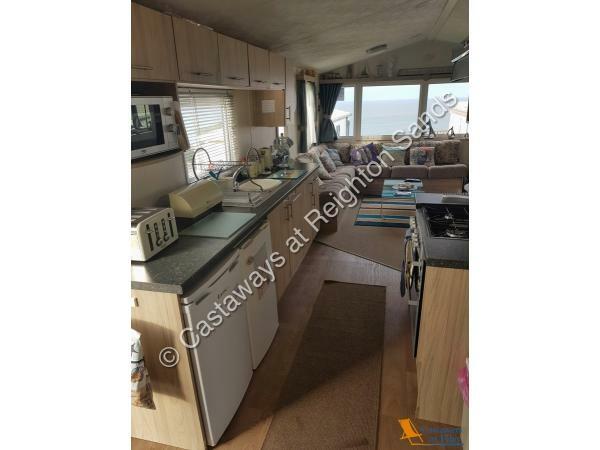 Highly recommended to anyone thinking of booking this truly stunning caravan.